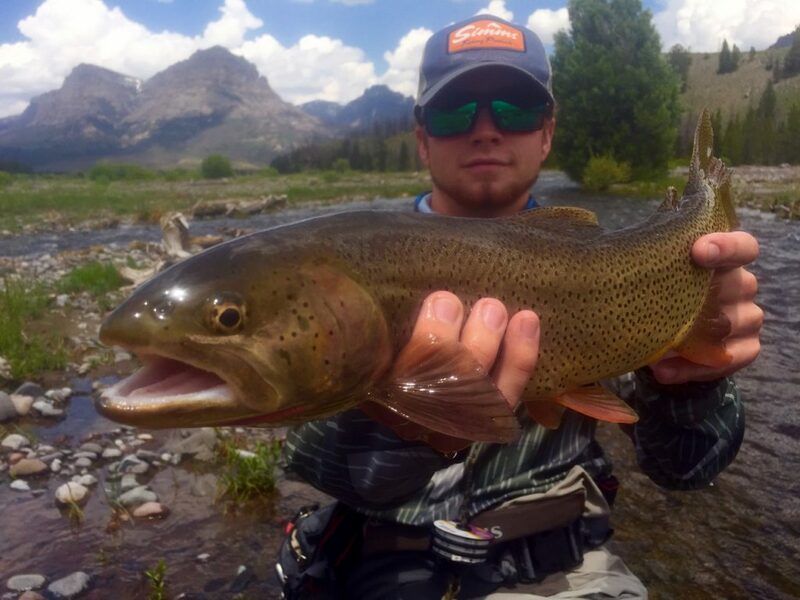 DUBOIS, WYOMING FISHING REPORT: The fly fishing and the river conditions are slowly starting to improve in the Dubois area. The Wind River is still blown out and a lot of that is due to our afternoon storms that have been rolling in. The high mountain tributaries to the Wind River are slowly starting to shape up, but are still running big. We advise anglers to use caution wade fishing and not try to cross too swift of currents. That being said, there are a lot of productive channels to fish. We have been doing well catching some beautiful Yellowstone Cutthroat Trout, and been busy scouting all water in the area. We are honored to be able to fish with a group of excited anglers from Project Healing Waters Fly Fishing for the next three days. BIGHORN & GREEN RIVER CONDITIONS: The Bighorn River is slowly starting to drop. The current river flows out of Boysen Dam are still at 8432 cfs and water is still off color. We are hoping to see some improvement this week as inflows have dropped significantly. Green River fishing conditions are remaining good and we have had several trips go out the past few weeks below Fontenelle Dam. A lot of big fish are eating and our clients have been enjoying the great weather and solid fishing. The Green River is currently dropping river flows to 4000 cfs. Fishing has remained good through the drop. We have more trips going out in the next few days, so keep posted. 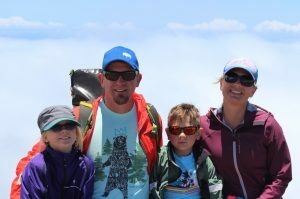 Even fishing guides need a vacation: Owner, Jeramie Prine and his family, are currently in Mexico for a brief vacation before the busy summer season. He will be returning to the United States on June 5th. 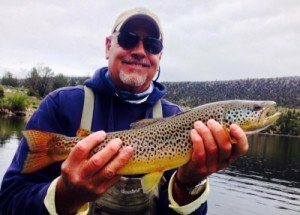 If you are looking to book a fishing trip during this time, PLEASE CALL OUR HEAD GUIDE JEFF AT 307-349-9433 and he will take care of your fishing needs on the Bighorn River, Green River, or Wind River in Thermopolis, Fontenelle, and Dubois, Wyoming. We apologize for any inconvenience, but hope to help you out with your guided fishing adventure! Sorry for the short notice but my international cellphone service is not working like expected. 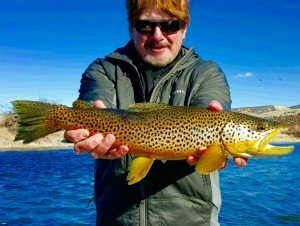 Bighorn River Fishing Report: The fly fishing on the Bighorn has been great this early spring. Guide Todd Helms had a great day fishing with The Coaches and caught their share of nice trout! The river is flowing at 2000 cfs while work is being done. Traffic is picking up and people are excited to to float. The Spring Flush is projected for March 28th. We will keep you posted as more information is available from the Bureau of Reclamation. In April, the river will be up to 3500-4000 cfs in order to help compensate for our large snowpack/runoff. It is melting by the day at a reasonable rate, and Boysen Reservoir is currently at 85.4% full. It seems like we are in for a great year with plenty of water. Our guides have some of the best experience for big water and know how to find the sweet spots! Hot flies right now are: annelids, sow bugs, midges, and the occasional streamer. Green River Fishing Report: The Green River below Fontenelle is increasing the water flow this week. Fishing will be a little finicky until the river flows stabilize at a consistent flow. It is going to be a big water year, but our guides’ experience and being in drift boats make all the difference for a good day on the Green River. We have caught some of our largest trout on big water years and look forward to what this spring and early summer will bring. The snowpack in the Wind River and Absaroka Mountains is quite abundant this year. It is reminiscent of 2011; the last big water year that we have experienced. The Bighorn River, Green River, and Wind River along with many waters around the state will be running full this year if snowpack is a predictor of anything. We took a scouting trip into the head of of the Wind River/Bighorn River headwaters region at the Ram’s Horn Guest Ranch. 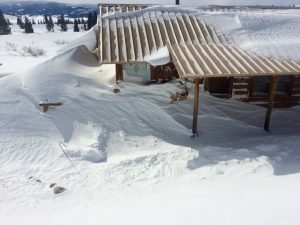 Our cabins are completely buried under huge wind blown drifts. We will continue to monitor the high country and keep you posted on those conditions. 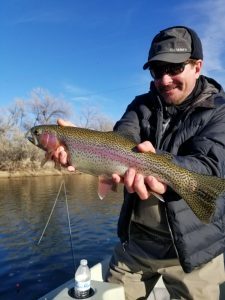 Bighorn River Fly Fishing January Report: Dunoir Fishing Adventures had a fantastic three days on the Bighorn River with Ed. Thanks Ed, and congratulations for catching some nice bruisers from the ‘Horn! January turned out to be a great month for drifting and fishing the river. Last year, the Bighorn had a major ice dam form near Hot Springs State Park destroying the dock at the take-out. So far, the river has been relatively free of ice. We will see what the next month brings. We have been busy taking reservations for this season on the Bighorn River, Green River, and the Wind River. Last season, our guides were completely booked from July to October with few exceptions. We encourage our guests to book their trips as far out in advance in order to reserve their guide for these rivers. Keep posted for more fishing reports and pictures to come! Just because the Wind River and some of its tributaries are blown out with early season run-off doesn’t mean anglers cannot take the opportunity to fish the many other waters located near Dubois, Wyoming. We have been fly fishing with Teresa and Jeff this week in snow, sun, rain, and wind and have had an absolute blast. Both Jeff and Teresa caught several nice trout despite these conditions. The SoCal couple definitely “cowboyed up” and kept tight lines and reaped the rewards. The best part of fishing in variable conditions is that we had the water to ourselves! The Bighorn River and the Green River flows are coming down but still remain high. 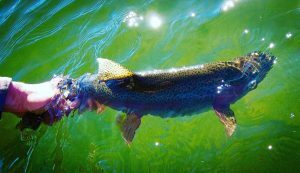 We love to fish the big water, so don’t let it worry you should you be considering a trip to Wyoming to fish. Dunoir Fishing Adventures in Dubois, Wyoming is the most experienced fly fishing guide service on the Wind River. Nestled in the Western town of Dubois, Wyoming, the Wind River is a classic mountain river that starts on Togwotee Pass, and becomes the Bighorn River in Wyoming and Montana. 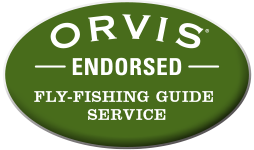 Our seasoned and LOCAL guides have over 30 years of fly fishing this region. 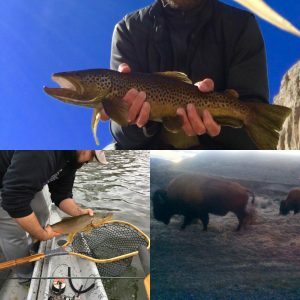 New for 2019: Fly fishing raft trips on the Wind River in Dubois, Wyoming starting after run-off. In Dubois you will find yourself on the stream and in the mountains alone more often than not. Our guide service has both public and private access on the Wind and Bighorn Rivers that will help avoid crowds for a wilderness experience. If coming to fish in Wyoming, you must include a stop on the Wind River. Dubois is a reasonable drive from Lander, Jackson and Thermopolis, Wyoming. DFA has one of three permits issued to fish Boysen State Park at the head of Wind River Canyon for trophy size trout. We suggest you wade or float the Wind River near Dubois for a few days. Then, drift boat fish with us on the very same river, the Bighorn, located in Thermopolis. We can help you with lodging options and suggestions in Dubois, Lander, and Thermopolis. This trip will not be forgotten due to the history, geology, and of course the wonderful fishing. 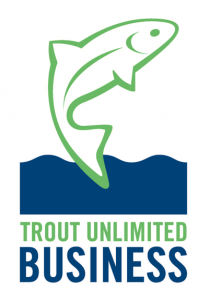 Expect to catch: Yellowstone Cutthroats, Browns, Rainbows, & Mountain Whitefish. For more information or to set up a trip, please check out our Contact Page or call us at 307-349-3331.